Lawrence Loebe known as Bear has a passion for martial arts that began when he was 5-years old after watching the Ninja Turtle movie several times. Soon after his first year in karate, he began to compete in tournaments, and he won. His travels with the National Black Belt League (NBL) circuit took him to Canada, Mexico, Guatemala and South America, and his prowess attracted sponsors. Bear was asked to present karate demonstrations for the Houston Police officers D.A.R.E. program beginning when he was in the 5th grade and continuing through high school. Lawrence Loebe achieved his 1st Degree Black Belt under April Cunningham in August of 1991, just before his 9th birthday, and continued training for higher degrees under Wayne Nguyen. As the 3rd descent directly under Pat Burleson, Bear proudly achieved his 4th degree (AKBBA) in 2005 from Mr. Burleson himself. 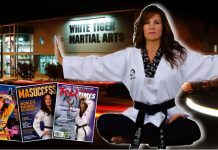 In 2007 he purchased TKO Martial Arts from his instructor and began his career as a school owner. The school grew so fast in three years, that Bear had to find a way to expand. Bear built out a 4500 Sq Foot State of the art facility next door to the old school with everything needed to produce sport karate champions, including a Olympic style tumbling floor. He renamed the school “Sport Karate America” In 2010. After the opening of Bear’s SKA, he was ranked by the Universal Martial Arts Hall Of Fame under Grand Master Daryl “Big Foot” Stewart to Master rank 5th Degree. Lawrence Loebe has been a Chuck Norris KickStart instructor since 2005. He teaches at-risk youth at a Houston Spring Branch middle school. Some of those students have followed him to Bear Loebe’s TKO Karate School and are very involved in the curriculum there. At Chuck Norris request, Mr. Loebe has provided the “half-time” entertainment for the World Combat League’s (WCL) televised Martial Arts Competitions, sometimes sharing the spotlight with Bear’s own private student, Sage Northcutt. Bear Loebe’s Demo Team has also performed at the Houston Aeros Hockey game and many festivals around town. In October of 2010 Bear hosted his first tournament. He was determined to raise the bar of state karate tournaments and made his event one of a kind. There was live entertainment in the form of COH a local Hip Hop singer perform his hit song with the TX Trixsters showing off their skill as part of the show. He also organized a set Super Fight between two of Texas top competitors Chris Gallio and Garret Lee. This 3 round semi contact point match was a high energy historic battle that had the whole gym on their feet. With over 200 competitors this tournament was a huge success. 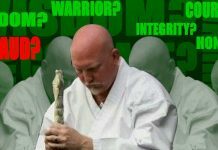 In February of 2011 the head of the NBL Boice Lydel appointed Bear as the Director of the Sport Karate International Texas, which puts Bear in charge of sanctioning and memberships in Texas. Bear is also in charge of hosting the SKIL State Championship at the end of the year. 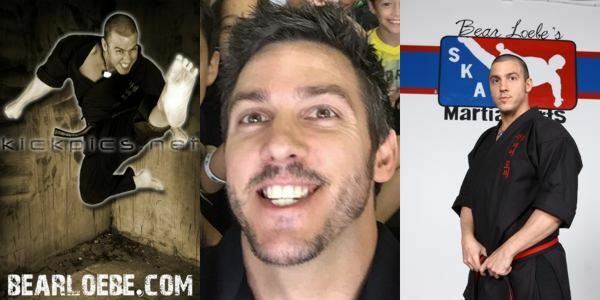 Bear Loebe strives to raise the bar of Martial Arts in Texas and works hard to make a difference in his student’s lives and to spread Sport Karate in a positive way. 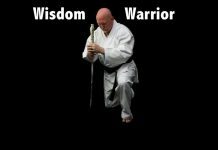 He has over 30 Black Belts promoted under his tutelage and continues to attract Black Belts from around Texas who become part of Sport Karate America. Sage Northcutt 31 time NBL Champion, Colbey Northcutt 31 time World Champion, Shawn Northcutt NBL, Shawn Prommar NBL, Charlie Davidson NBL, James Davidson NBL, Rachel Aquino SKIL, Kevin Buckner SKIL.